Residential Mortgage Brokers and Originators must know that the deadline for Anti-Money Laundering Program Compliance is August 13th. The Financial Crimes Enforcement Network (FinCEN) announced that non-bank residential mortgage lenders and originators must implement anti-money laundering (AML) programs by August 13, 2012. The AML programs must be reasonably designed to prevent residential mortgage brokers and originators from being used to facilitate money laundering or finance terrorist activities. The AML program must be approved by senior management. A copy of the AML program must be available for inspection by FinCEN or its designee upon request. 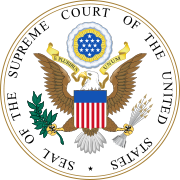 Yesterday, the United States Supreme Court, in a unanimous ruling, made it harder for home buyers to sue mortgage lenders for certain overcharges at settlement, limiting the reach of a provision of a 1974 federal law on real estate settlement procedures. At issue was a provision in the law that barred lenders for collecting fees for settlement services they do not perform. Justice Scalia said the provision only applied when a settlement service provider splits the fee with another party in the transaction.